Furry Hill Housing Development – Duggan Brothers Ltd. 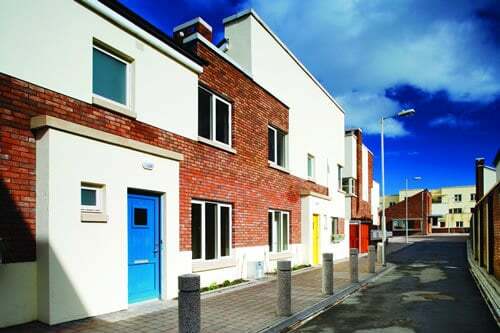 This infill Housing Development project involved the construction of 27 number terraced houses, 28 number apartments, and a community centre with all associated external works, including extensive drainage, site services works, attenuation tank, extensive paving, landscaping and new boundary works. 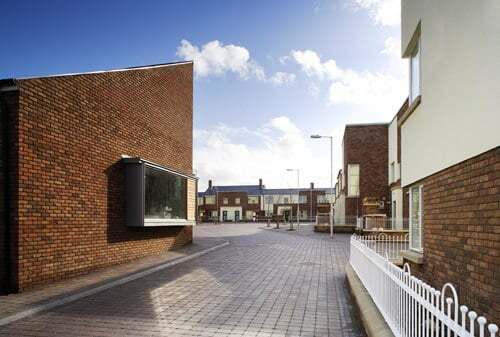 The units were finished and fitted out to a high standard with use of brick and plaster externally. Particular Challenges: This infill site was surrounded on all sides by houses with mature gardens with trees growing on the boundary fence lines etc. Our contract included the construction of new boundary walls to the entire perimeter. In order to agree on the individual boundary works and to keep them apprised of the upcoming works there were regular meetings between the various property owners, the Architects and Duggan Brothers representatives both before and during the works. The site manager made direct personal contact with affected householders whenever significant operations were about to take place in the vicinity of their properties. In addition to this contact, also included was the distribution of “flyers” detailing the nature of the “significant operations”. Significant operations included: Rockbreaking, Trenching outside properties, Reinstatement of surfaces outside properties etc. Environmental issues: Extensive water attenuation provided. Segregation of waste before disposal. Significant quantities of rock were broken out. This rock was crushed on site and used for trench fill under paved areas.